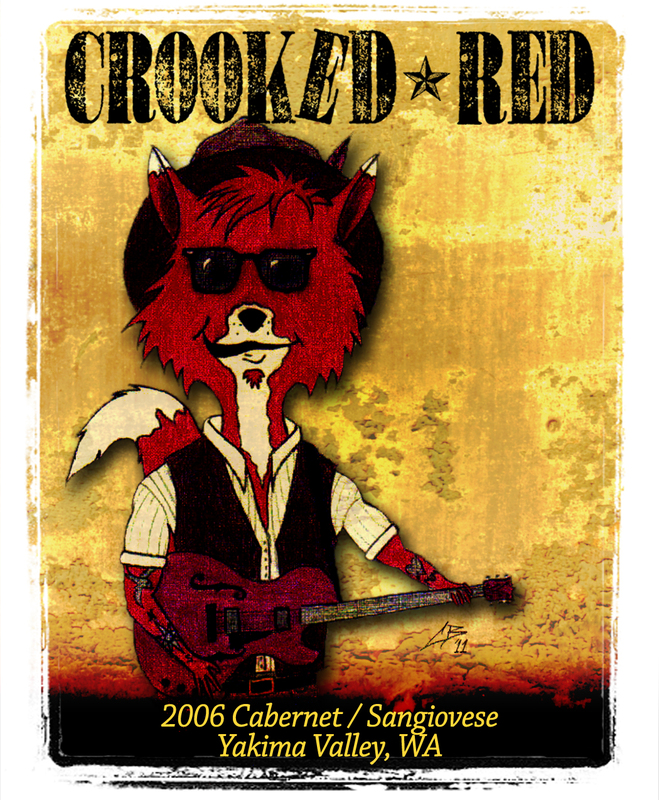 Front label for our upcoming wine release! This is Cody. Ty usually writes our blog and does an awesome job, but I have had a few things happen to me personally lately that I figured I should share. Sorry if this gets a little wordy, but I feel I need to share this for you, and for myself. And for those of you who follow this blog regularly, sorry for the recent slump in activity….. I told Ty a while ago that I would handle the next update……. and my old high school procrastination skills snuck up on me in the meantime. The Crooks have taken the month of May off in order to recharge our batteries and gear up for an intense summer tour schedule. Joe has been working at a family plant nursery in Central WA, digging in the dirt and planting trees; Aaron has been working on the family farm in Montana, watching that hard red winter wheat grow; Greg has been hanging out on the beach in West Seattle and working on his tan; Chris has been hanging in Everett and working at his Dad’s insurance office; Eric has been shooting and editing video for various commercials and National Geographic reality shows; Ty is hanging with his fiance’ in Denver and working three part-time jobs, one being a childrens’ train conductor in the Denver mall; and I have been working on bringing Crooked Red Wine to fruition…. it’ll be released in June! It’s been an extremely busy and rewarding last few months, and we want to sincerely thank everyone who supported us along the Crooked road we traveled. As some of you may have heard, I’ve been dealing with some vocal issues for the past few months. Many of my musical heroes have very raspy voices…. so I have always been attracted to a more breathy, gritty tone. Naturally, I grew up singing in much the same way. Little did I know, if done improperly, this can add a lot of wear and tear on the vocal chords. In addition, I often seem to get so caught up in the emotion of being on stage that I end up pushing my voice past its limits. So, I’ve honestly probably had these issues for the last year or longer, but not until on our tour did I really see the impact it was having in the long-term. Back in mid-February, while in Southern California on tour, I was losing my voice and having a hard time keeping up with the demand of our intense tour schedule. After speaking with our manager at the time and my vocal coach, we decided I should probably see a doctor. Luckily, especially for a guy like myself without medical insurance, the Grammys have a non-profit called MusiCares that helps financially with artists in need of medical attention. They set me up with an appointment in Beverly Hills with the same doctor who cares for Mariah Carey…. so, I was really excited to know that after visiting him I’d finally be able to hit all the notes in “Butterfly.” Although the doctor was a very nice and reassuring guy, it was a fairly nerve-wracking experience overall. He used some sort of rod to stick a camera down to the back of my throat….. and then said…. “Okay, now just stay calm….. breathe through your mouth….. now hit this note…. ahhhh…. no, eeeeehhh….. breathe…….” and then, well, I gagged and nearly spit up on the poor fella. “You want to try some of this throat numbing spray? It may be a little easier this way.” Yes, I would love to try the spray….. why didn’t you ask in the first place?!! And how am I supposed to breathe through my mouth when you have a camera in my throat?!?!?! Thankfully, I made it through the second round, and we were presented with a video of my vocal chords in motion. The doctor deduced that I had what is called a “soft vocal nodule.” At this “soft” stage, he said it was treatable, but that it may require some drastic changes in my habits, and possibly in our tour schedule. He said his ideal treatment choice would be to administer some steroids, have me commit to complete silence for at least one week, and then we would have to take a few weeks off to let me fully recover. Well, being that it was only the second week of our first national tour and that we would have to cancel upwards of 20 shows including SXSW, this seemed like a catastrophic blow to my spirit. Feeling like I was negotiating with a used car salesman and trying to save the tour, we talked a little more, and he said that I may be okay if I limited talking to only necessary instances, along with cutting back any drinking or smoking I was doing………. but, it was still a risk. If the nodule were to worsen and become hardened, the result could be surgery. I left the doctor shaken, but determined to work through the issue and prevail. Not only could this nodule affect my singing career in the long-term, but I also had six other people to think about… my band. We had all sacrificed so much to make this tour a reality….. and now its survival teetered on my vocal health. Telling the guys wasn’t easy, but they could not have been more supportive. There was not a question in their minds….. my health was most important. Even if we had to cancel the entire tour, they had my back. I was so thankful for their support during that time…. they told me that I didn’t need to feel that I was carrying everything on my shoulders, and that we were all in it together. 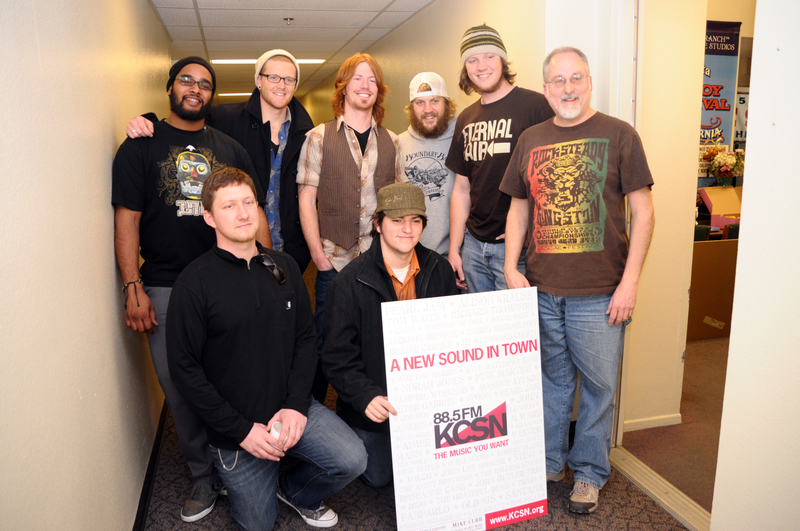 KCSN in Northern Los Angeles, the day after I visited the doctor in Beverly Hills. After much deliberation, talking amongst ourselves and with my vocal coach, we finally came up with what we thought was the most reasonable solution to our situation. First, we canceled a few select shows along our tour route that would allow rest time for my voice. Then, I committed to limited speech…. literally using a pen and paper for most communication between shows and only speaking when absolutely necessary. When we had a few days off, I’d usually cut myself a little slack and let out all the words I had been holding in….. and I’d end up blabbering like an idiot for a few hours due to all the pent-up verbiage. I also erred on the conservative side and completely quit drinking alcohol and caffeine, smoking, and eating and drinking dairy products….. all of which can affect vocal chords negatively. Where most musicians seem to acquire addictions on the road, I was the most sober I had been in a decade. I also sang more cautiously and really tried to focus on using my vocal chords correctly. We worked hard on making sure the monitors were mixed so that I could hear myself and not have to push too hard to compete with the stage volume of the band…… and again, I have to thank the guys for being so understanding in this circumstance as well. I must say, all of these changes took a lot of will power, but knowing that it would allow myself and my band to continue living our dream….. it was really quite easy. 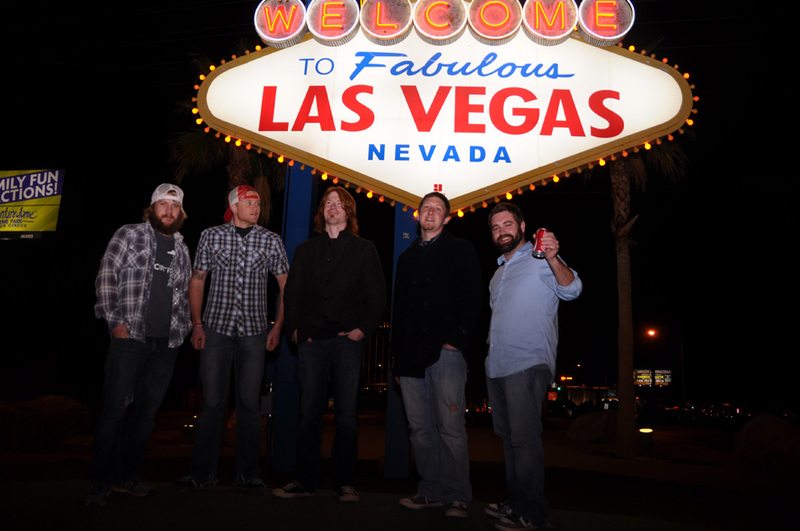 I saw Vegas in complete sobriety, with a pen and paper as my voice. I saw the second largest Mardi Gras celebration in the world, sober. I entered various public places…. banks, stores, restaurants…. without saying a word. The end phase of our plan for my recovery was to play out the rest of the shows on our tour, and then for me to see another ENT doctor upon returning to Seattle. This way, he could take a look at the picture of my vocal chords from before and see if the nodule had progressed or receded. We left the majority of May completely open so that I would have ample time to recover….. thus, part of the reason for our current hiatus. So, on Monday, April 25th, directly following our shows in Portland and Seattle, I faced fate and visited the doctor. I was extremely nervous to hear the results….. but to my surprise and satisfaction, the doctor said that my chords looked considerably better than before. What a relief! I guess all of the precautions were not in vain! However, the doctor did say that I could still use a steroid treatment and a week of vocal rest….. but after all the stress that had preceded, I welcomed this verdict with open arms! Compared to the alternative of surgery, I felt rather fortunate. 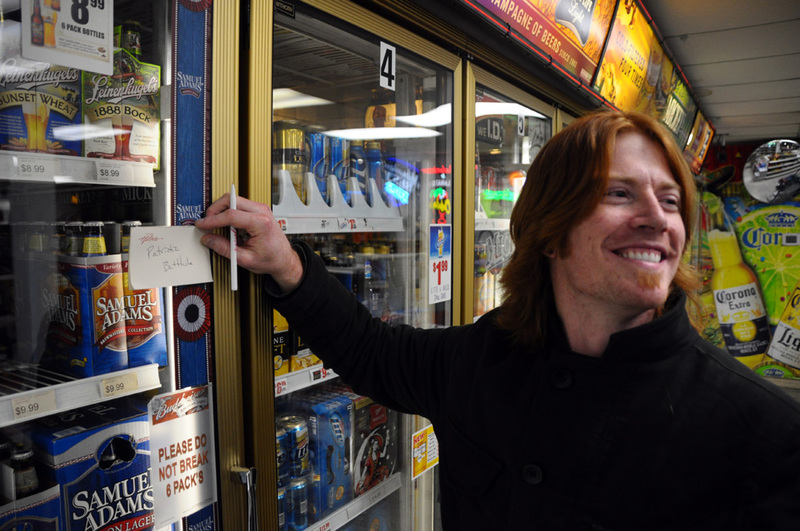 Having some fun in the liquor store while the other guys picked their poison! From April 25th at roughly 3pm until May 2nd at around 5:30…….. I did not utter a sound. I headed back to Central Washington and hung out with family for the week. My grandparents had just returned from their winter stay in Arizona, my uncle visited for a few days, and I got to spend a weekend at our family cabin with my Dad for his birthday….. all in silence. At times it was aggravating to not be able to explain how I was feeling….. or crack a joke. And if I really wanted to say something, I had to work for it. I couldn’t just spit out words without thinking like before. But, no matter how hard this experience was at times…… I tried to always remain thankful. I think we often forget that some people live their whole lives without the use of certain “normal” functions. There are people who will never make a sound…. never hear a sound…… never see. In challenging myself to this silence, I really grew to appreciate a function that I often take for granted. I learned that much of what I say on a daily basis is really unneeded…… people just tend to want to have their opinion heard, so they open up and let it flow on out without much thought or care. I could count in a journal all of the things I actually needed to say in the day, because if I didn’t write it down, I kept it to myself. So, since my opinions were stifled by my lack of communicative vehicle, I instead focused on learning from others’ opinions. I watched the world around me in silence, taking everything in and thinking very deeply. It allowed me the time to have a conversation with someone in my life I often ignore….. myself. The world is spinning so fast and our lives are filled with constant activity. I challenge you to take a day, just one day, and save your voice. You’ll really like the way it sounds when you finally decide to speak. And, if yours looks anything like mine, you’ll have to improve your handwriting so people can understand what you’re trying to say! All in all, couldn’t ask for a better experience. There may have been a few bumps along the road, but I am so grateful for everything that has happened in the past few months. I am also thankful to my friends and family that have been so supportive along the way. I have grown closer with my Crooked brothers, and, I’ve grown closer to myself. This was a crazy time for me, but I feel better about myself today than the day we left on tour…. and in my book, that’s a win. Personal growth. Progress. Sometimes, the hard times can end up being your best times. Thank you for reading. 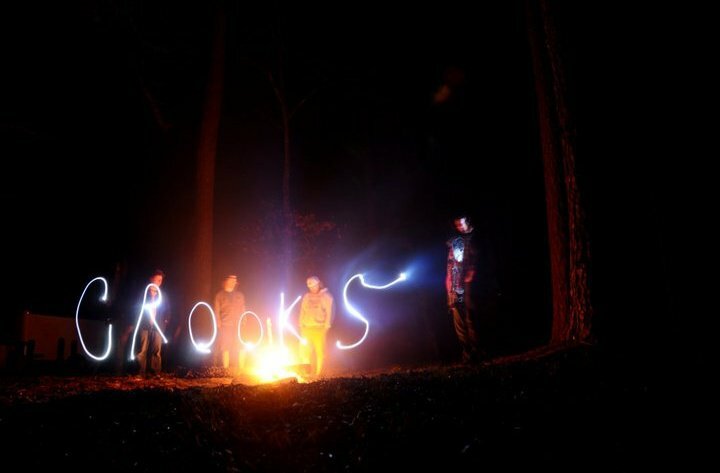 Crooks reunite in Bellingham on Sunday, May 29th at Boundary Bay Brewery. We’ll be joining Northwest legends Flowmotion! I do believe things happen for a reason. You are very wise to focus on all the positive things instead of the negative. The things you are learning now about yourself and your voice will help you pursue your dreams to the fullest. It has been amazing to watch you all grow through these experiences! Hey Cody, Chris from “Afraid of Figs”, Sax player/fellow vocalist. We met briefly when you played with Handful of Luv’n over a year ago, and I’ve been following you guys ever since. I really enjoy/respect the music you make even if it’s very different from my own. In short, I read this blog entry, and I’m happy for you, inspired by your serious will power, and cautioned by your tale of your vocal health. I’ll bear all the in mind when I’m wailing on the mic myself! Much respect and best wishes brotha!